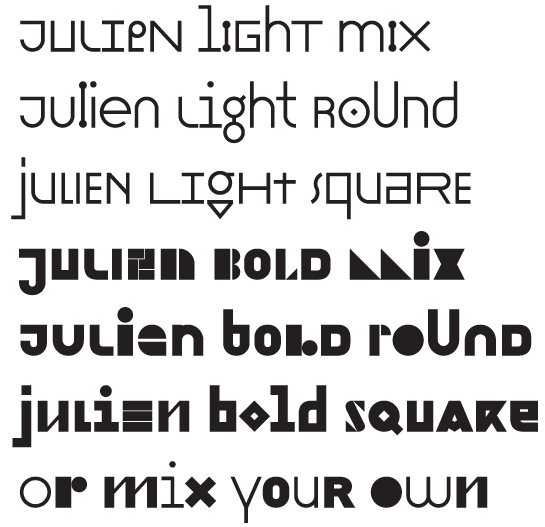 Totally smitten for the font Julien by Peter Biľak (Typotheque), who also created another favourite of mine, History. And whether or not it is clear to you, no doubt the universe is unfolding as it should. Therefore be at peace with God, whatever you conceive Him to be, and whatever your labours and aspirations, in the noisy confusion of life keep peace with your soul. With all its sham, drudgery, and broken dreams, it is still a beautiful world. Be cheerful. I was contacted back in August of 2011 to create a logo for a new online forum for Northeastern University (in Boston, Massachusetts). 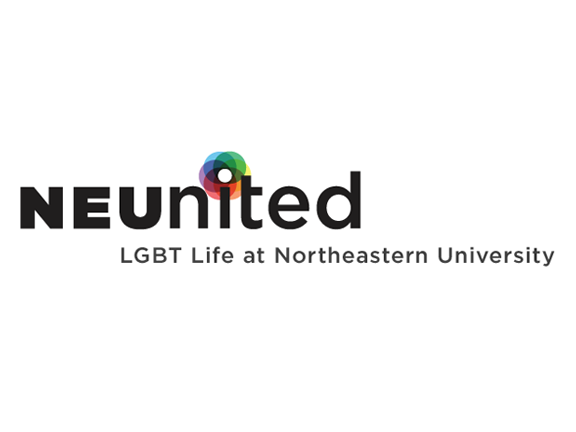 NEUnited is a blog for students & alumni to share stories about LGBT life at NU. Huge thanks to Greg for contacting me - it has been an honour working with you and Joe these past few months. I wish you both the best of luck! 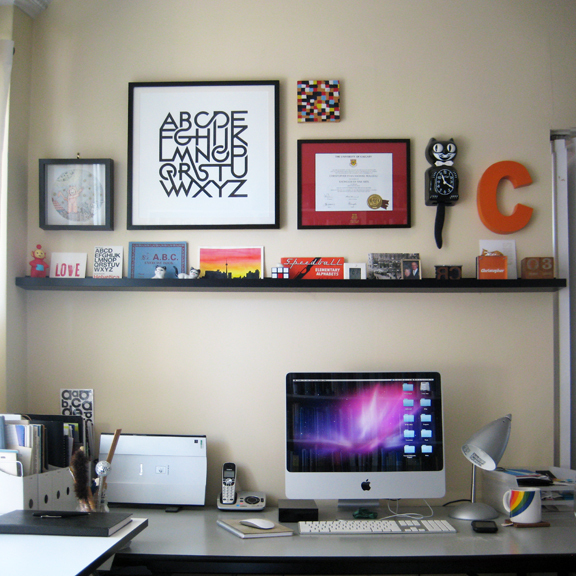 Nothing feels better than have organized, inspiring workspace. After surviving the holidays and catching up on sleep and RSS feeds, I finally got around to dusting and tidying my office. The last time I changed up my wall was 2 years ago (! 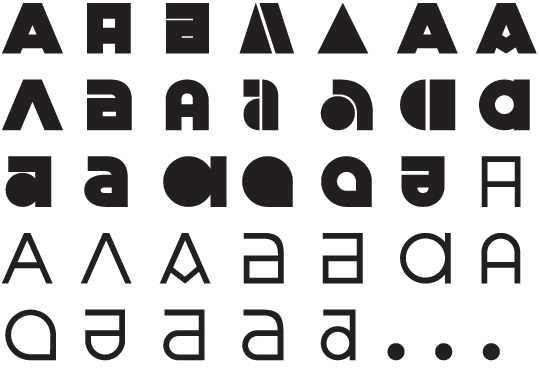 ), so it was about time for a fresh look. Below are a few close-ups! 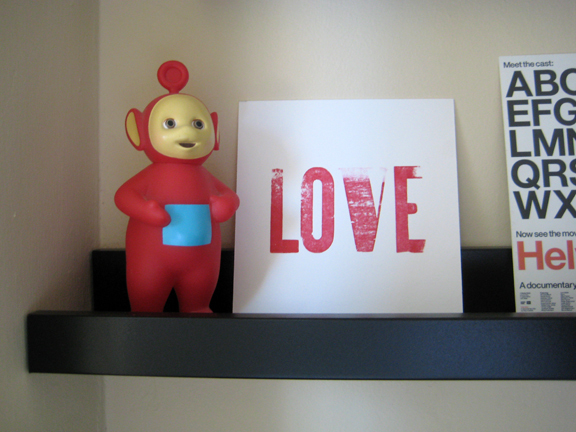 Here's Po the Teletubby, and my Love letterpress print I created with Tanya at snap + tumble. 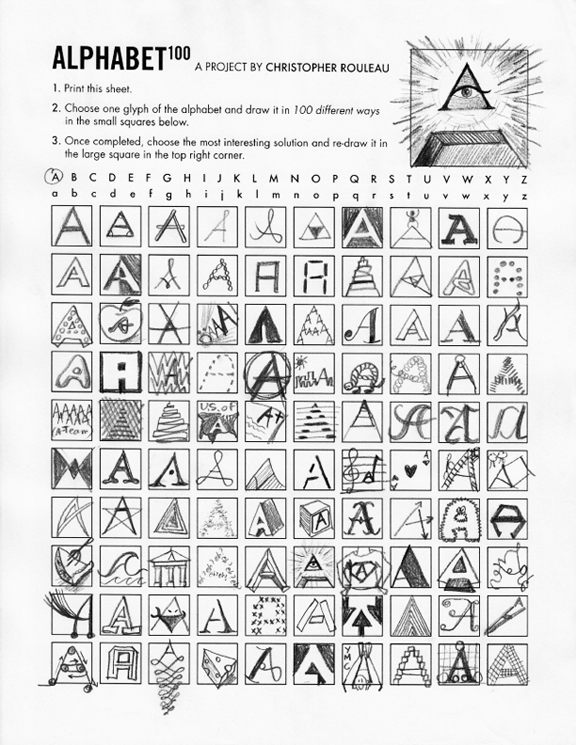 This is an awesome alphabet exercise book (also from Tanya!) 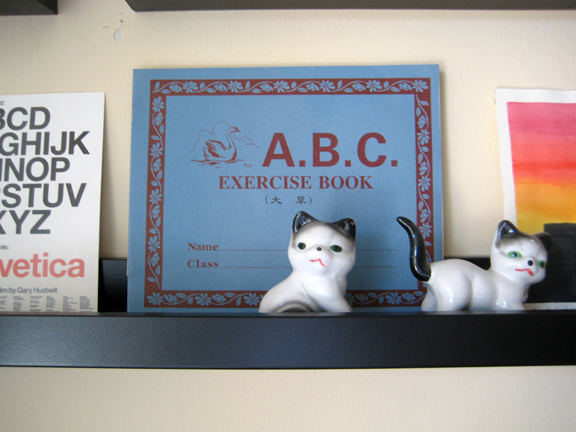 and some porcelain kitties from Grandma. 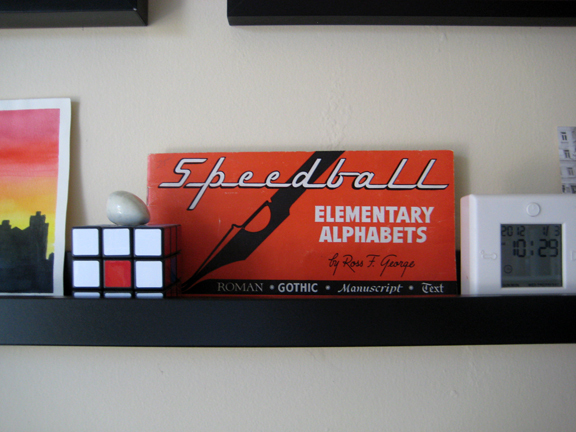 This is an antique Speedball alphabet book I found back in 2009, a Rubik's cube, and a white serpentine stone. 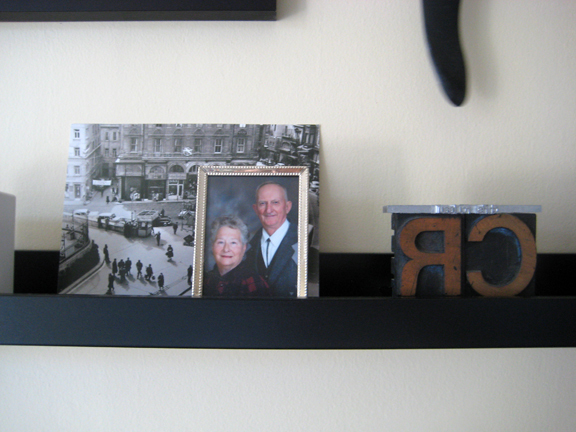 This is a postcard from my trip to Istanbul, a photo of my grandparents, and some letterpress blocks. 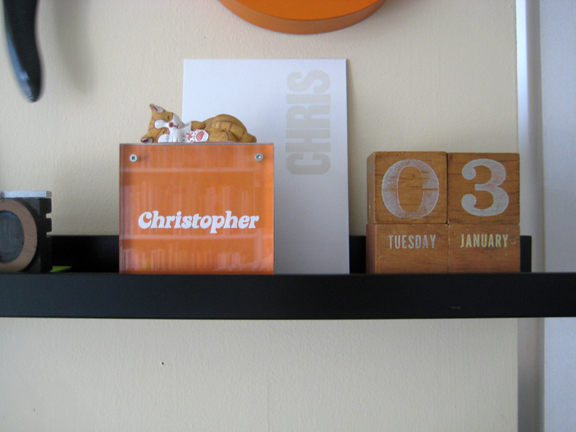 This is a name block (from my Veer days), another kitty from Grandma, a letterpress print from Tanya, and some antique date blocks I found at the St. Lawrence Market. 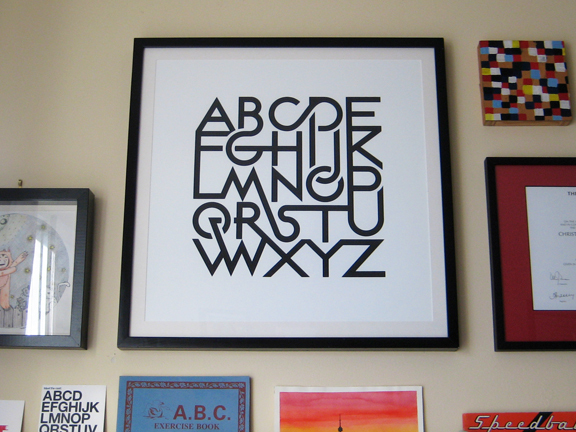 And this is a framed version of my alphabet print, available in my shop. In January, I started a side project called 12 over 12, where I planned investigate the numbers 1 through 12 - one per month - from January to December, 2011. On February 1, I launched my professional website, christopherrouleau.com (with the help of my ridiculously talented friend, Chris Roberts). I also created my first batch of handmade business cards to get things rolling. 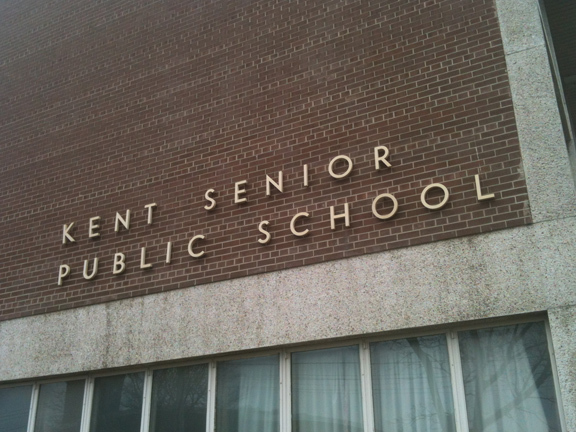 In March, I visited my grandparents in Saskatchewan. It was lovely. June was ridiculously fabulous when I launched the Official Gay Card into the world, a fun website and print piece created to celebrate Pride 2011. The project went viral after it was picked up by Dan Savage at the Slog, Andy Towle at Towleroad, Trendhunter, and NOW Magazine. After one month, the site had almost 70,000 page views from 137 countries, 2450 PDF downloads & 1575 iPhone downloads. So much fun! In July, I was fortunate enough to visit two Canadian National Parks for the first time - Niagara Falls and Banff. Stunning². In between trips, I was asked to design and hand-bind a series of chapbooks for David Bateman, which were a lot of fun. (Thanks David!) July also marked my 5 year blogoversary. 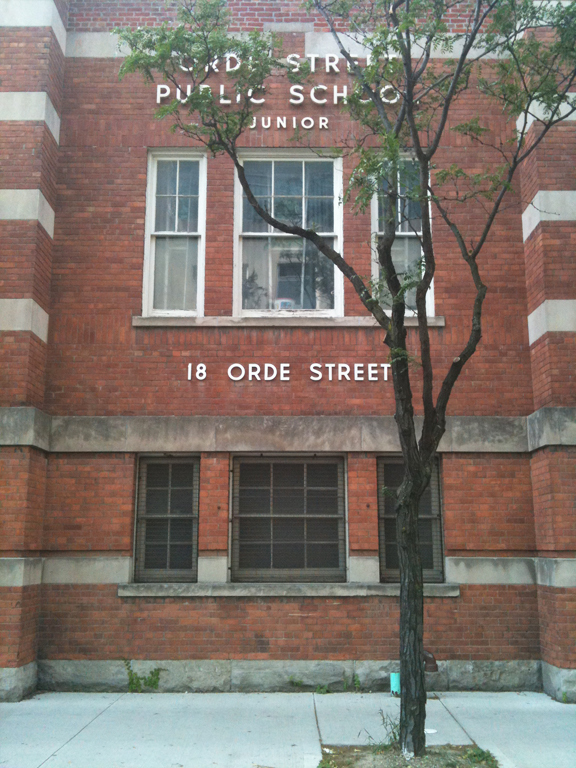 In August, I was able to visit Montreal - and take lots of pictures. September was a busy month. 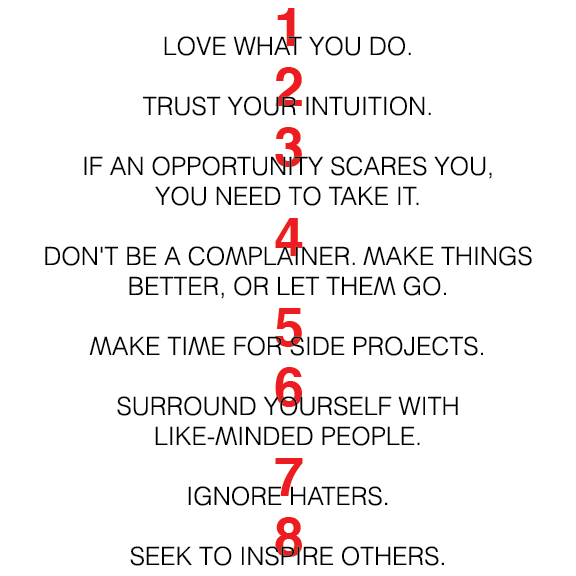 I launched a promo piece called "10* reasons to work with me" - you can see pictures here and here. 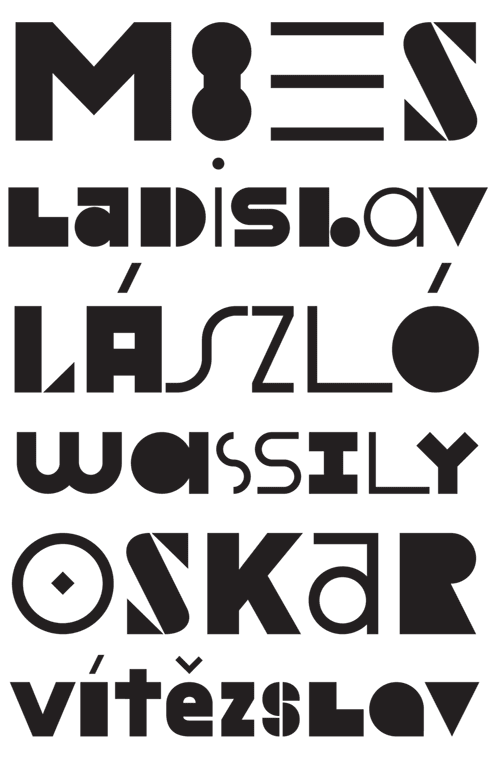 I also got to design some super fun typographic art prints for a young lad named Lincoln. (Thanks again Stacey!) And finally, I launched two fun task-managment print pieces: the "Let's Get Sh*t Done Sheet" and the "What The H*ll's For Dinner Sheet". In October, I designed a logo for Fulcrum Group, an HR consulting company in Alberta. (Thanks Gary!) 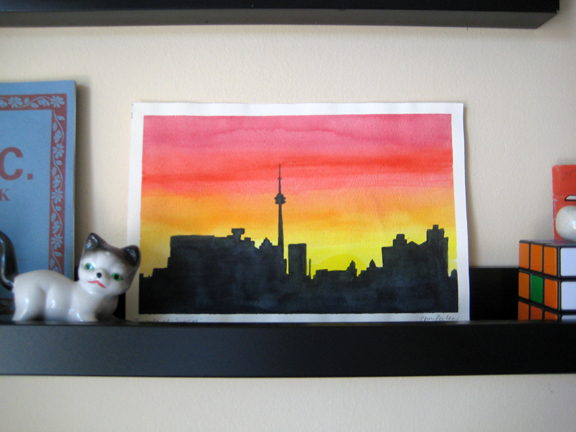 I also had the joy of creating my first oil painting for some good friends, Hugh and Tracey. It was a lot of fun. 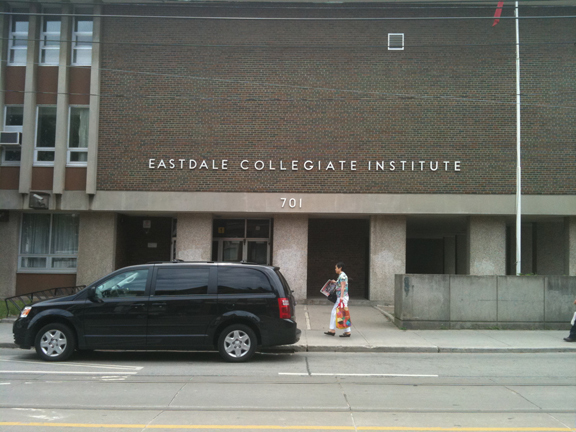 At the end of October, I also announced that I would officially be pursuing freelance graphic design full-time in 2012. Exciting! November was another busy one. 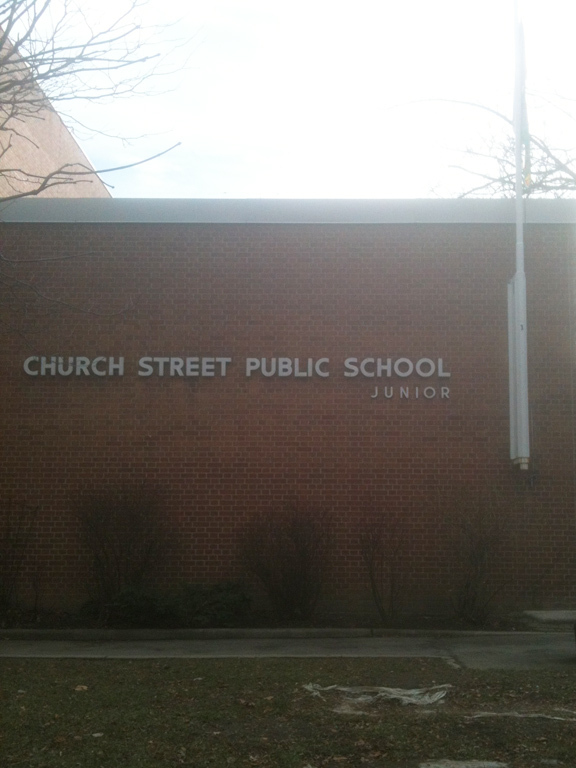 After a lovely, relaxing visit to Ottawa, I saw my first non-fiction book cover design come to life. It was so exciting to see the book at the launch, and get a copy in my hands. I also launched my shop and made my first art print available for sale. 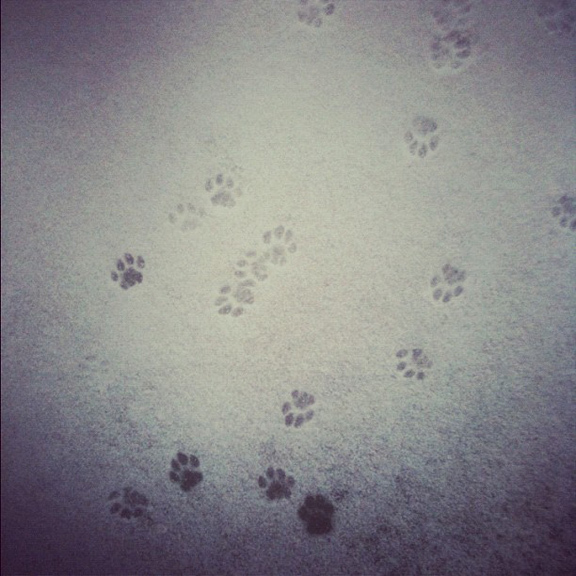 And, December. 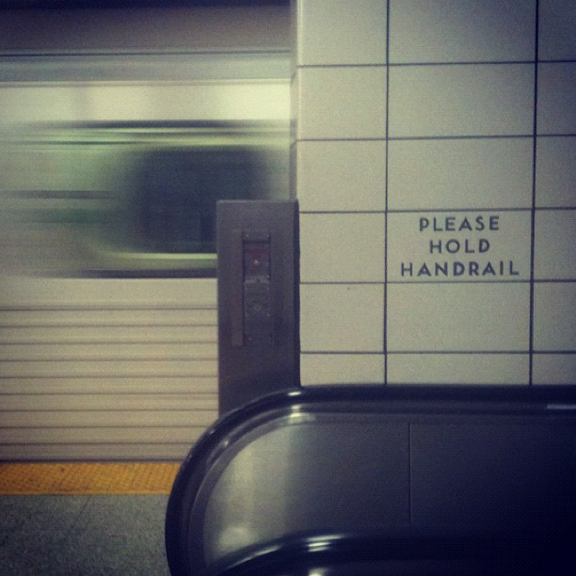 On the first day of the month, I launched the Toronto Etiquette Project. 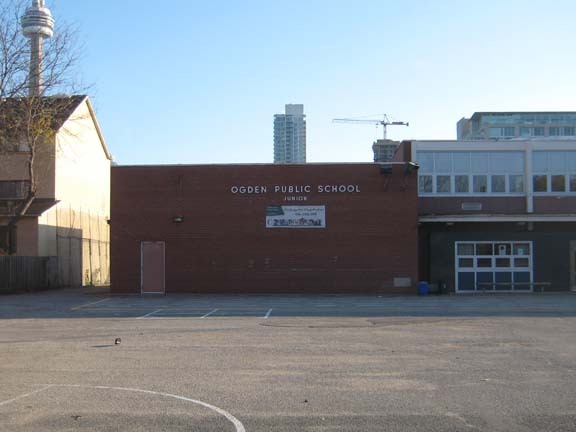 This little passion project exploded in the national media, and I found myself on CBC Radio, CTV National News, and on the cover of the Toronto Star newspaper. It was a shock and an honour. 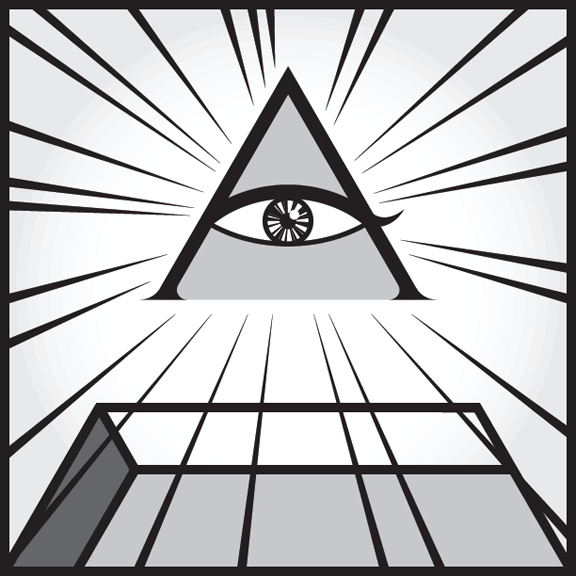 Feel free to read the exciting progression on my blog here. As of today, the blog has been viewed just under 20,000 times, and the cards have been downloaded almost 3000 times. Thanks for making 2011 the best year ever. Here's to another great one!